Pattern includes full, half, and quarter fan pieced pincushions. 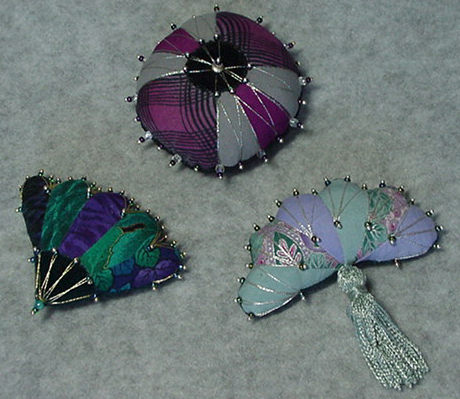 Each incorporates the use of beaded pins and metallic thread wrapping techniques. Great way to use little bits of fabric.